Hi guys! Welcome to another #loveyourbalance post! 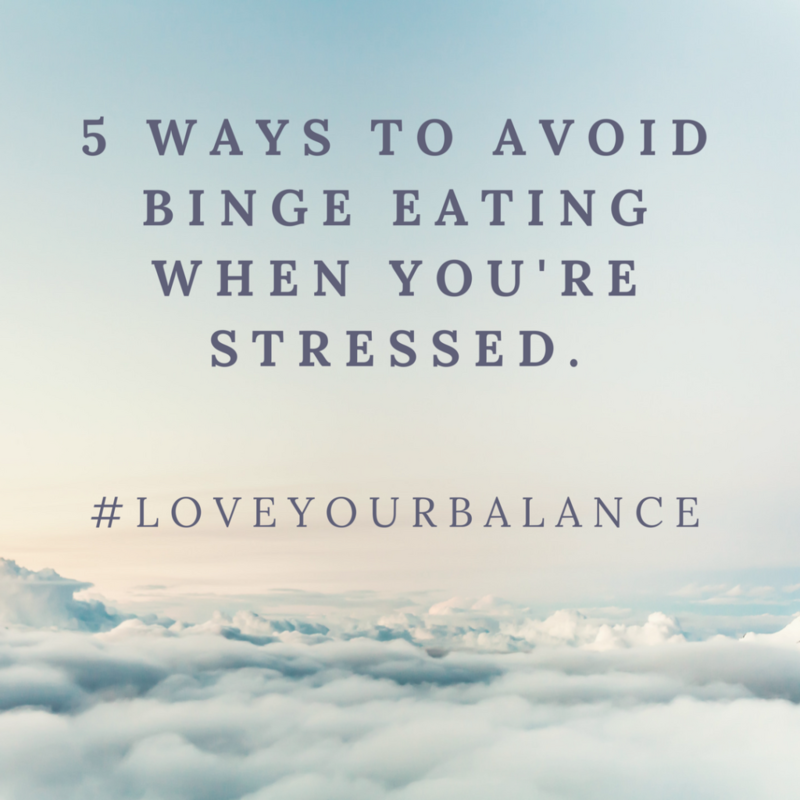 Today I’ll be sharing 5 ways to avoid binge eating when you’re stressed! First things first: new recipes WILL be coming soon! I apologize for the lack of new recipes but alas, my world has been a little crazy. Let me tell you why…. Yes, like a real house. Something that we aren’t just renting. 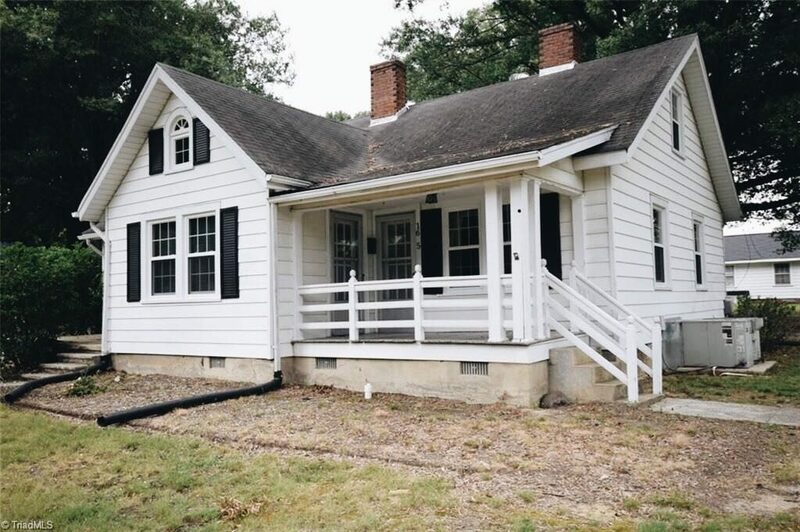 Ben and I spent soooo much time wishing we could fix up our current house but really not wanting to put in the effort/time/money since it’s just a rental ya know? But now, WE CAN PUT ALL THE TIME/EFFORT/MONEY INTO IT. I feel like I’m part happy, part scared haha – all normal reactions I’m sure. I plan on giving you guys a full tour of the house NEXT WEEK. For now, here is a photo of the outside to hold you over. BUT, as exciting as that news is….let me just fill you in on the road to get there. Can I first just say that HGTV glamorizes the process of buying a house?! They make it look so stinkin’ easy! Like, oh I like this one – let’s put in an offer! Oooh, offer accepted! Ooooh, everything went well in the inspection! Ooooh, the seller is going to fix all of the repairs needed! Etc. But oh no! That’s not how it works my friends. Thankfully we had an amazing realtor who doubles as Ben’s sister (thanks, Elisa!) and she went above and beyond dealing with crazy issues. So, after a month of inspections, negotiations, waiting…waiting some more….oh, and more waiting…we finally agreed on specifics with the seller! No papers have been signed – but everything is basically official! We close on March 9th. Which is in like, 9 days. No big deal. I truly think this has been the most stressful season of my entire life. Not to mention, this past weekend – we went to visit my parents and on the way back home, our car broke down. 1 hour away from home. Thankfully the car is fine now – but it wasn’t cheap. So many things have been happening, so many things were uncertain for so long. So much money is being spent! Ahhhhh!!! I guess my next question is: How do you deal with stress when it comes to food? Are you an over-eater? Under-eater? Does it affect you at all? For me, I usually eat with my feelings. Stress really makes me just want to pig out on popcorn, chocolate, cookies…basically all the bad things. It gets especially hard when I feel like I want to binge eat to try and escape everything that is going on in the world. So how do I stop that feeling? Of wanting to bury my head in a bag of cheesy Doritos? Well, I’ve found a few things that help me. This always always helps me. Between the fresh air, the movement, the birds chirping…going on a walk always puts things back into perspective for me. I especially love going on walks with my husband. He is always able to calm me down, reassure me that things will be okay. 2. Get out and do something! Instead of sitting on the couch watching countless episodes of The Bachelor (guilty as charged – and if you’re wondering, yes, I do hate myself a little bit lol), go out with your friends! You can see a movie! Or go have coffee with your mom! Or hey, go have a mini shopping spree at Target! Anything that will keep your mind off of what lies in your pantry. 3. Make yourself a hot beverage. This always helps to calm me AND my emotional cravings down. I particularly enjoy peppermint tea. It’s known to relieve stomach pain and it’s a natural stress reducer! Win win! 4. Write down your feelings in your journal! Write about your day, what you’re feeling, why you’re craving etc. I find writing to be incredibly therapeutic and helpful. 5. If you honestly just NEED that cookie – eat one or two. Try not to exceed two. It’s okay to treat yourself if you’re feeling down, sad, angry, stressed etc. As long as you’re not going overboard! Please keep in mind that I’m not a dietician or nutritionist. These are all my own opinions and what help ME when it comes to binge eating. And, well, if you’re in the mood for cookies…I highly recommend this recipe by Alison Roman! 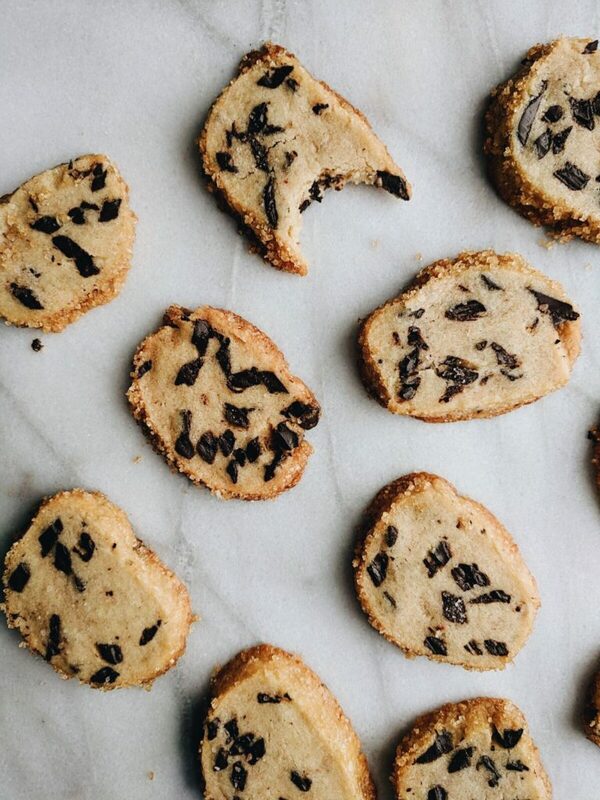 They’re salted shortbread chocolate chunk shortbread cookies. And they’re to die for. They taste just like the English shortbread cookies you get at Christmas. Except they’re a tad bit saltier. And they are coated in raw sugar. And they have chocolate chunks in them. Yup, they live up to the Internet hype that has been surrounding them. Anyway. That’s all for now. I’ll keep you guys updated on the house and I can’t wait to show you pictures once everything is moved in and decorated! You’re the best. I can’t wait for the next chapter of our life to unfold. I love you to the moon. Thank you for sharing your life with us here on the blog. It’s keeps me waiting for the next adventure.